Haggerdash are one of Scotland’s favourite folk groups playing a wide range of songs and tunes. Haggerdash are much in demand for festivals and folk clubs as well as having many performances in Norway, Denmark and France to their credit. They have had many influences over the years and this is shown in the wide range of material that they perform. Haggerdash also perform many of their own songs. 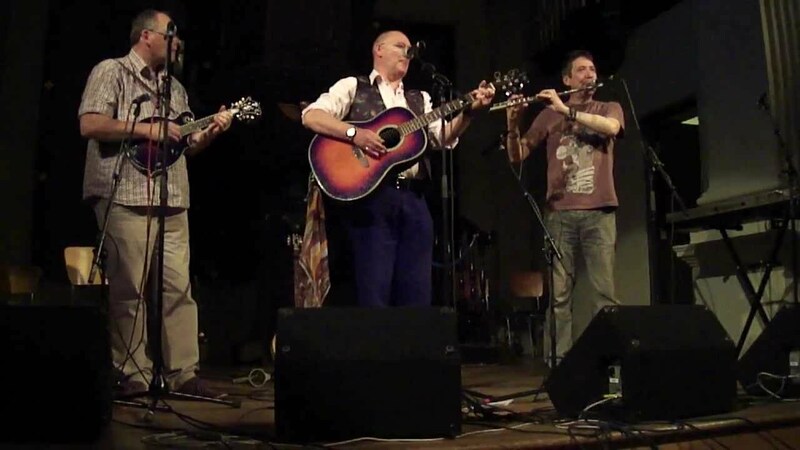 The band consists of Davy Lees, David Logan and Billy Stewart and between them play many different instruments including guitar, mandolin, tenor banjo, bouzouki, bodhran, harmonica, flute and whistle. Billy is a singer / songwriter who lives in the Lanarkshire village of Overtown near Wishaw. Many of Billy’s songs reflect the range of industries that have surrounded him during his life though his repertoire also includes songs which show his great sense of humour. Davy has extensive experience in the music industry. He hails from the Lanarkshire steel town of Motherwell where, during the late seventies, he was a member of the well respected Auld Howff Band in which he provided vocals and played guitar and flute. David, Haggerdash’s director of tunes, is a tenor banjoist and mandolin player of note. Nothing if not versatile, David also plays mandola, dobro (the singing coffee table), lap steel and 5-string banjo.